Description: What are the key issues in contemporary literary studies? What notion of 'history' is appropriate for today's study of 'modern' (post-1800) literature? Description: What are the key issues in contemporary literary studies? What notion of 'history' is appropriate for today's study of 'modern' (post-1800) literature? How can we best understand the recent transition from theory to literary history? In 20 chapters, this book both probes and answers these questions, and more, emphasising the importance of literary history to current critical thinking. 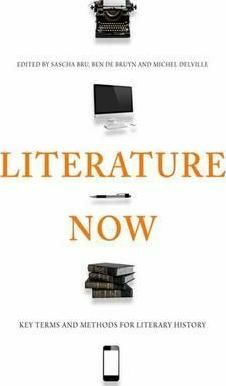 Literature Now provides a thought-provoking argument as well as an authoritative exploration of the key terms of literary studies. It will appeal to anyone who wants to epxlore theoretical issues from a historically informed perspective. The chapters cover: Archive. Book. Media. Institution. Translation. Subjects. Senses. Animals. Objects. Time. Event. Period. Invention. Generation. Politics. Popular. Beauty. Mimesis. Style. Genre.